Something about Detroit awakens a feeling in many that can only be described as a frontier romanticism. But just like the American West was not uninhabited, free for the taking by European settlers, Detroit is a city with existing communities, existing assets, existing problems, and existing potential. It is a city with 700,000 inhabitants that have watched as their surroundings have crumbled into an uncanny post-industrial landscape. What to “do with” tens of thousands of vacant structures and vacant lots is a perennial discussion among architects, planners, developers, and politicians. When 23-year-old Drew Philp bought a house for $500 in the Poletown neighborhood, he was less concerned with solving the city’s problems than he was with surviving Detroit’s brutal winters without heat. 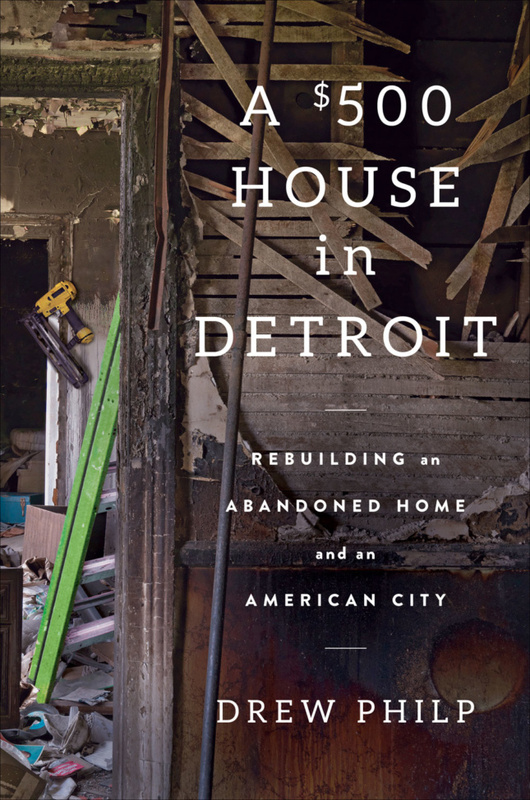 In his first book, A $500 House in Detroit, published by Scribner, he tells a story of struggle and triumph as he rebuilds a dilapidated Queen Anne, one piece at a time. When Philp moved to Detroit, he was in the final year of his undergraduate degree at the University of Michigan. With little in the way of a plan or a mission, he worked and lived hand-to-mouth. Slowly making friends, he found himself part of an urban farming community called the Yes Farm. Still without a permanent place to stay, he learned of the county’s annual property auction. The auction sold off county-owned properties, bidding starting at $500. The house he would end up buying was barely a shell, and it would take years to bring it up to a livable condition. This story, of a white kid from Anywheresville, Michigan, moving to the predominantly African American Detroit to find himself, sounds more like a veiled gentrification narrative than a worthwhile topic for a critical look at the city. Yet, experiences like Philp’s, while not completely unique, have rarely been told in such detail, or with as much awareness of their inherent cultural worldview. Throughout, Philp questions his place in his community, conscious of every interaction with his neighbors. Five years of experiences, traumatic and joyful, and firsthand lessons in community politics, give him a perspective that is insightful and measured. Intertwined with his account, Philp includes historic anecdotes explaining the events leading to the current conditions of inequality, corruption, and vacancy in Detroit. One of the most powerful accounts discusses how entire neighborhoods were destroyed when the interstate was driven through the heart of the city. While this is a story that has been told in nearly every American city, it has special meaning in Philp’s case, as his grandfather built his home, well outside of Detroit, from the reused wood from those forcefully demolished homes. Events like this forced Philp, and now his readers, to contemplate guilt, reparation, appropriation, and race relations in a very real, very personal way. Philp also points out that much of the book was literally written at the kitchen table from that same house. Told in a typical Midwestern voice, Philp’s writing will be clear and familiar to anyone who grew up in Middle America. Even so, many will find it hard to see themselves in his shoes, but this may be a strength for the book. Rather than fetishizing the experience, Philp constantly questions his actions. Less a how-to than a cautionary tale, few will feel any urge to attempt to re-create his experience. The timing of the book, taking place roughly from 2009–2017, happens to coincide with major changes in Detroit, which have yet to be proven good or bad. An influx of young white people, Philp arguably being part of the first wave of them, and global interest in the critically distressed city, has made it a space of pilgrimage and settlement by many more with more social and economic privilege than those who have stuck it out over the years. This underlying theme of a changing city plays itself out over and over again throughout the book, with Philp often stuck awkwardly in between “progress” and empathy. 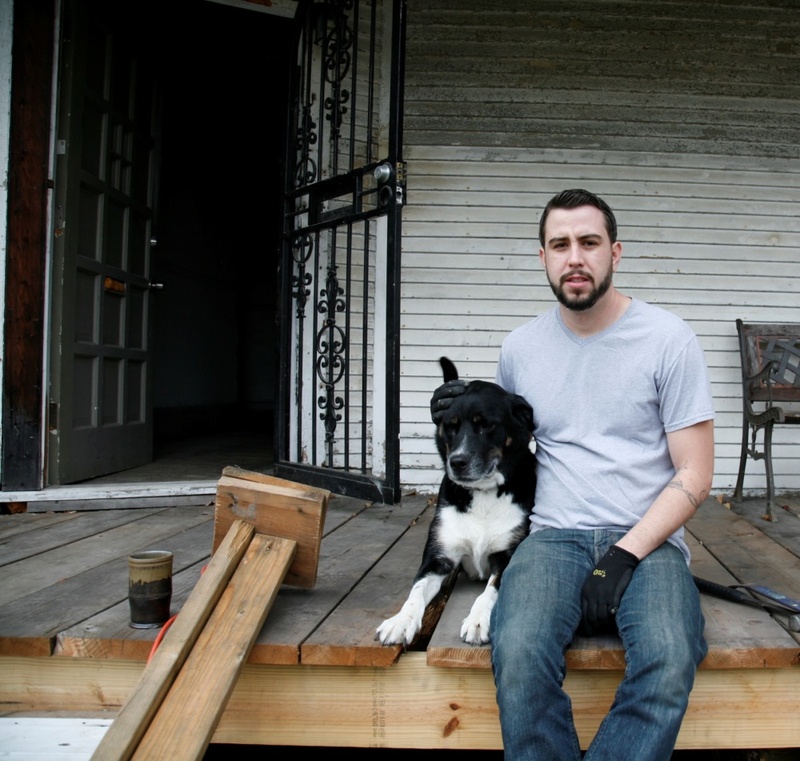 The genesis of A $500 House in Detroit came when Philp wrote a short piece for BuzzFeed. If the story would have ended there, a few thousand words bookended by stories like “15 Celebrity Tweets You Missed This Week,” it would have simply become yet another one-dimensional anecdote about a city that is in dire need of having its complex story told. And while A $500 House never professes to tell the whole story, it does add a significant voice to the dialogue, without fetishizing or romanticizing the city and the lives of those who live there.